This is very helpful maths sight. 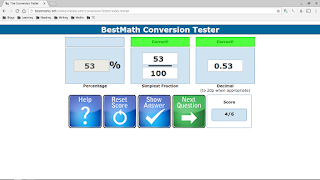 It helps you convert your fractions into percentages and then into decimals. If you don't know the answer you can ask for help or even show the answer so you know it next time, and if you're not proud of your score you can reset it and start again. 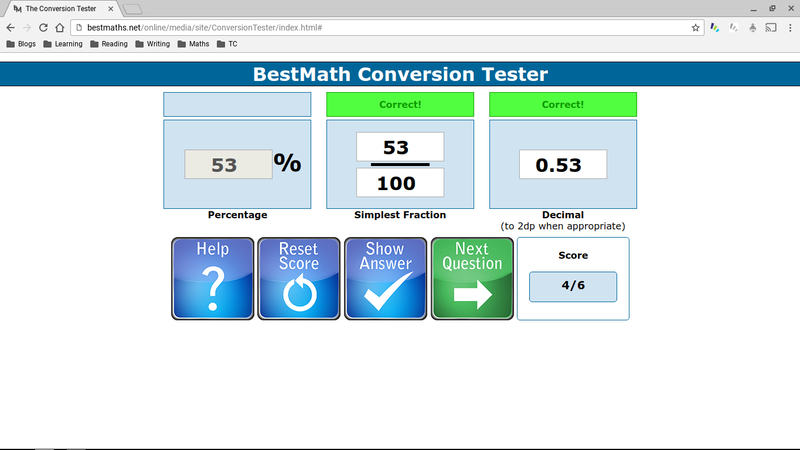 Here is the link if you would like to give it a go The Conversion Tester. Maths Whizz is virtual maths tutor for the ages 5-13, it helps you with with all strategies but it will make sure that you are set on the right age level. The sign in screen looks like this. You can also add buddies and send them challenges too. I have been playing maths whizz for about 4 years and this game has helped me improve quite a bit. Maths Whizz is a tool that our school uses everyday, and our class has to do at least 20 minutes a day. 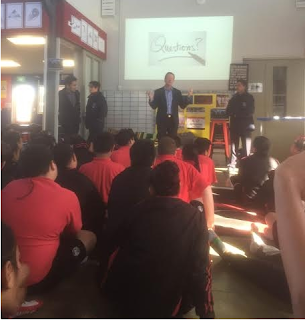 Two months ago two boys from Tamaki College came to our school to talk about the amazing adventure they had ahead of them. Today they came back from America to tell us about their favourite parts about the trip, they went to California, America. Their names are Gabe and Saiah who are year 11's, 3 years ago Gabe was a year at student at Pt England school, so it was great and inspiring to see one of our former students to be given the opportunity to go on this amazing journey. They went to places such as Google, Khan Academy, Microsoft, Xero, Landing Pad, Stanford University, Facebook/Instagram, Book Track, Alcatraz and the Golden Gate Bridge, Gabe's favourite places were Alcatraz, Khan Academy and Microsoft and Saiah's favourite places were Stanford and Facebook/Instagram. Even though Gabe loved his journey he said that he would rather prefer to stay in New Zealand because its home, and being away from New Zealand wouldn't be the same. But Saiah said he would like to live in America because he would like to go to Stanford University because he wants a good education. They came to our school to tell us that we could be them in 3 years time.